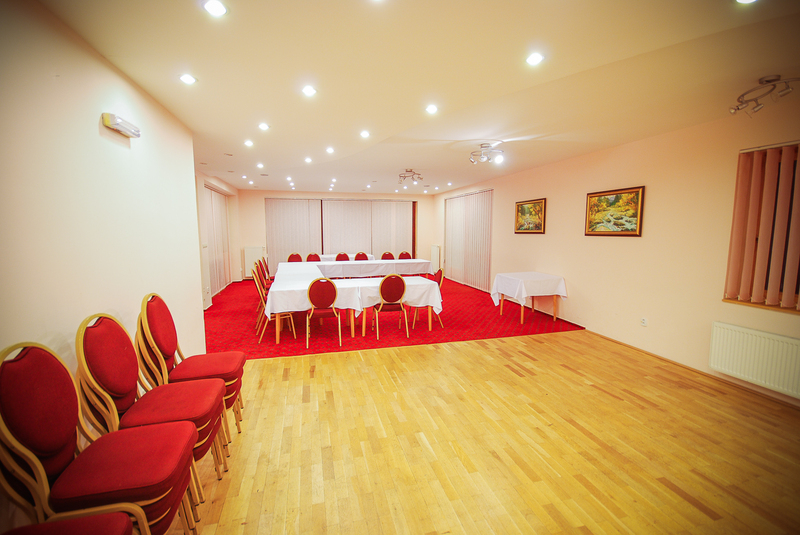 The conference room is equipped with a data projector, a flipchart and a sound system. During corporate training and presentations, the maximum capacity of the conference room is 60 people. For the participants of the training we also provide half board with rich buffet tables and coffee break. Upon request, we can also arrange transport to the High Tatras and the surrounding area for relaxation after presentations.